When it comes to music these days, it's all about the mix--the surprising, ear-opening, genre-defying juxtapositions that can result from the more than 10,000 tracks you can store and play on your iPod. Thanks to its staggering storage capacity, amazing shuffle-play capabilities, and its tight integration with iTunes software, the possibilities are limitless. 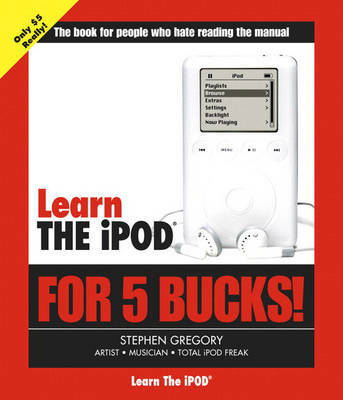 Here to get you started--in not much more time than it takes to don those trendy headphones--is a pocket-sized guide that's as smart and simple as the product itself (though at $5, way less expensive!). In less than 50 pages, you?ll find everything you need to start downloading, storing, and indexing all of your must-have music on your new favorite accessory. Each page of this tight, bright, four-color guide features a full-page visual, step-by-step instructions, and perhaps a warning or tip. Nothing extraneous, just the all-important basics: downloading tunes, extending your music collection via the iTunes Music Store, using the all-touch interface, and more!